History: Bhindi ran away from home quite recently to escape the ridicule thrown at her by "normal kids," and to thus find a place where she would feel more accepted. She meets Morrow on her travels, who decides to help her on her quest for a more peaceful life, and the two end up at Void City. Special abilities: Enhanced hand-eye coordination due to her having four arms to control instead of just two. Other notes: The right side of her head is shaved closely to her head. The left side was left to grow, and because it's now long enough, she floofs it over her shoulder. 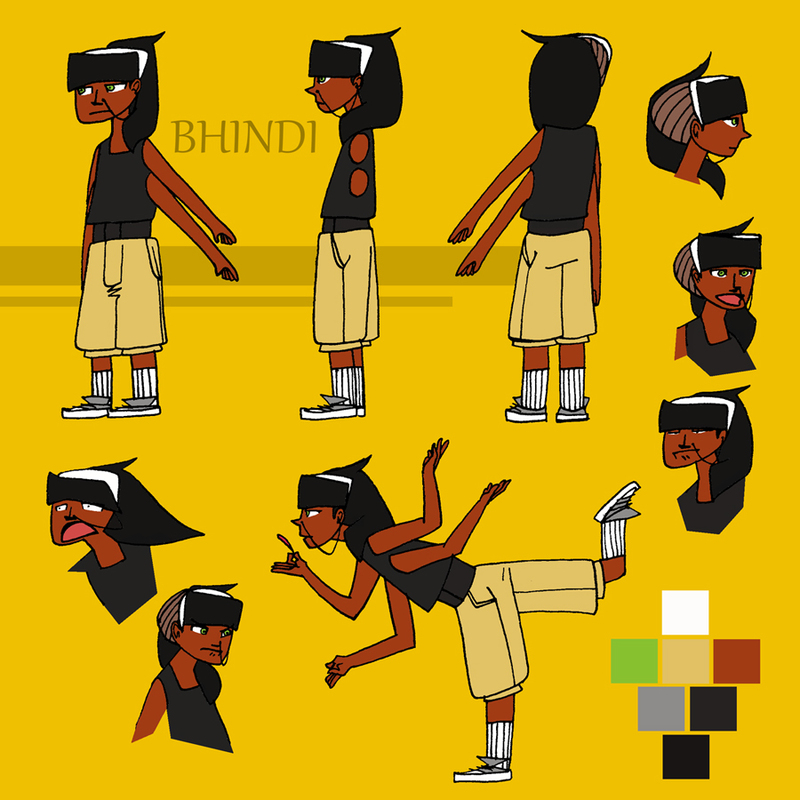 Also, Bhindi has no other outstanding features other than her four arms.